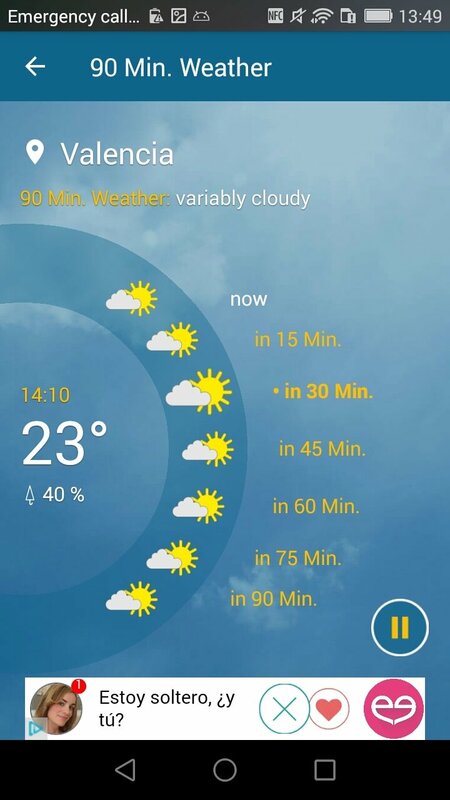 What's the weather going to be like tomorrow in London? How about Manchester? And what about during my vacation in Cornwall? 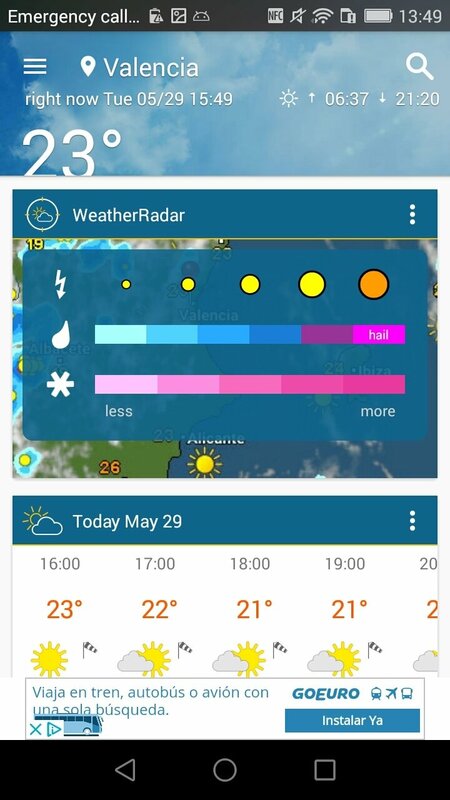 Stop making silly questions, everybody knows it's going to rain, or simply download Weather & Radar - Free for Android, the app to check the weather forecast all over the world. 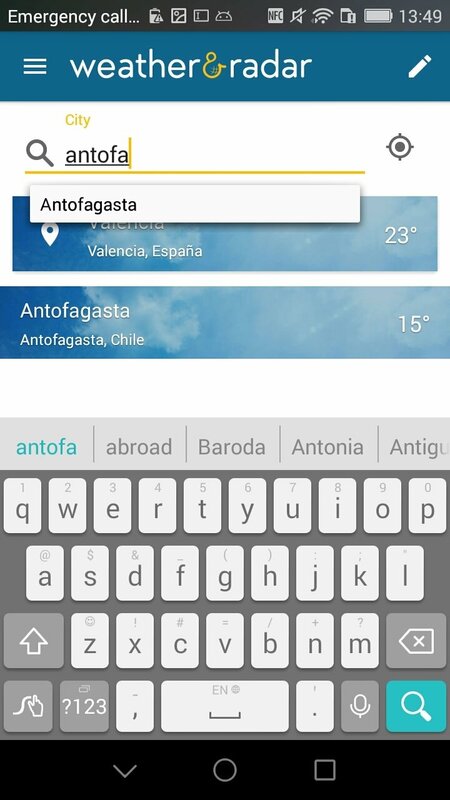 Check the weather forecast anywhere around the world. Check data such as the temperature, rainfall, or snowfall expected, as well as sunrise and sunset times. Radar view over the map. 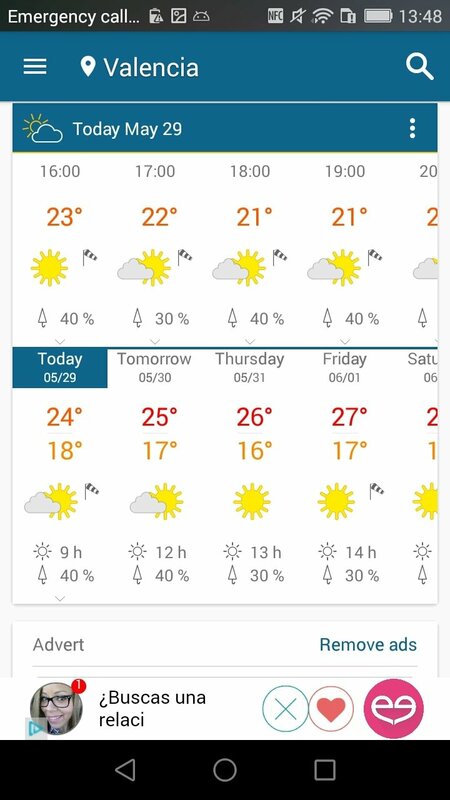 Check the weather forecast for the following 90 minutes and 14 days in advance. Take a look at the values in different measurement units. Receive alerts for severe weather conditions. 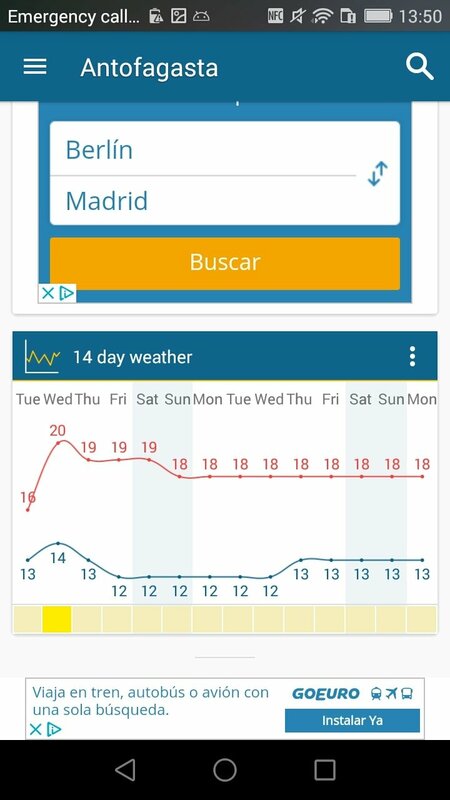 Weather forecast widget to receive information in real-time depending on your location and with a simple glance. 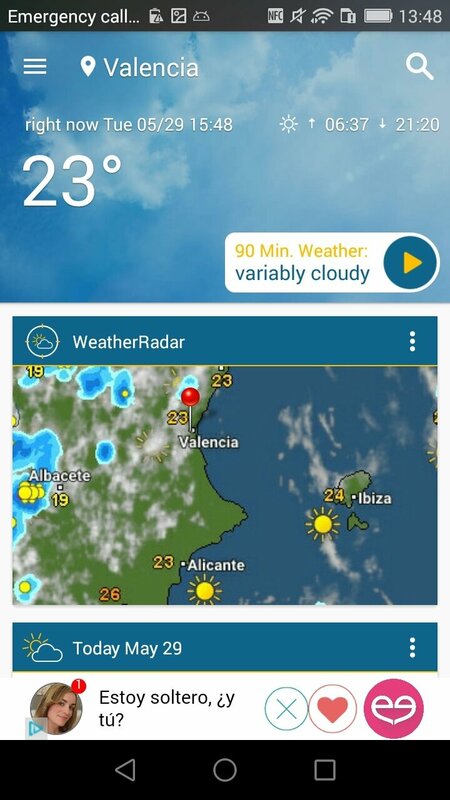 Take a look at the weather forecaset in depth and two weeks in advance. 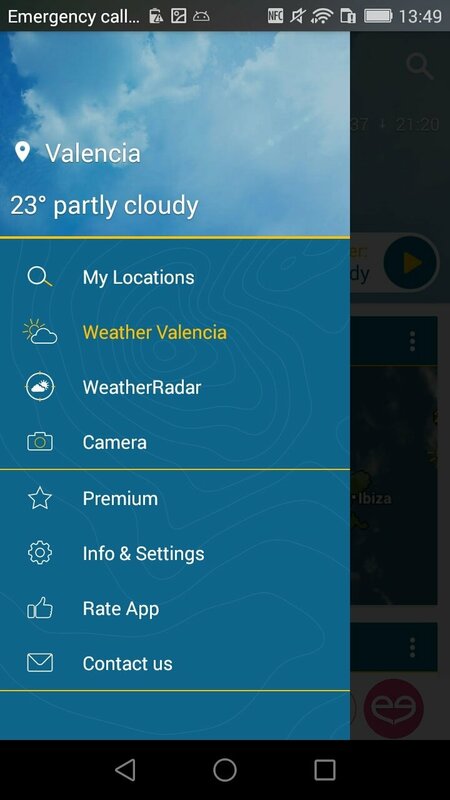 The APK of this application can be downloaded for free but it offers us the possibility to get hold of a paid version that removes its adverts and offers us detailed views, such as a radar.